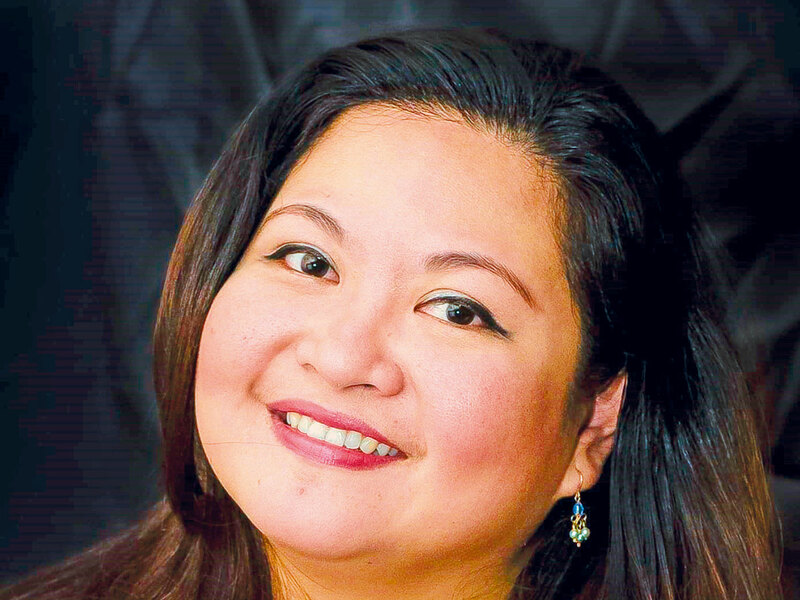 Dubai: Filipina choir conductress and devoted Catholic Jocelyn Santos shares her December 17 birthday with the Head of the Church Pope Francis. But her last birthday is the most special to date — when she learnt she would lead the Grand Choir during the Papal Mass this Tuesday. 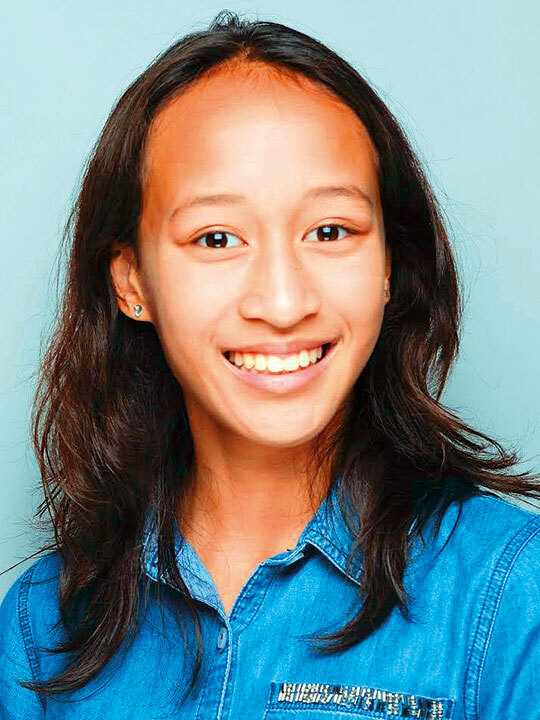 Santos was told she would be the conductress of a 120-member choir from nine Catholic churches in the UAE for the Papal Mass just days ahead of her birthday last December. The news came as a shock. “Father Michael O’Sullivan, the coordinator of UAE Papal Visit, asked me if I’m ready to commit to lead the Grand Choir for the Papal Mass. In my head I thought, me? Of all people, you’ve chosen me?” Santos told Gulf News recalling her reaction. The Dubai resident is not new to leading grand choirs for special occasions. In fact her impressive CV includes conducting for priests’ ordination, Year of Mercy Mass and other solemn events at St Mary’s Catholic Church, Dubai. Self-doubt crept in at first. But then God made me realise that serving Him through the Papal Choir is a gift from Him and for Him. “Self-doubt crept in at first. But then God made me realise that serving Him through the Papal Choir is a gift from Him and for Him,” Santos said. With less than two months to choose the singers, make the right song selection, and rehearse, Santos said the journey has not been easy. 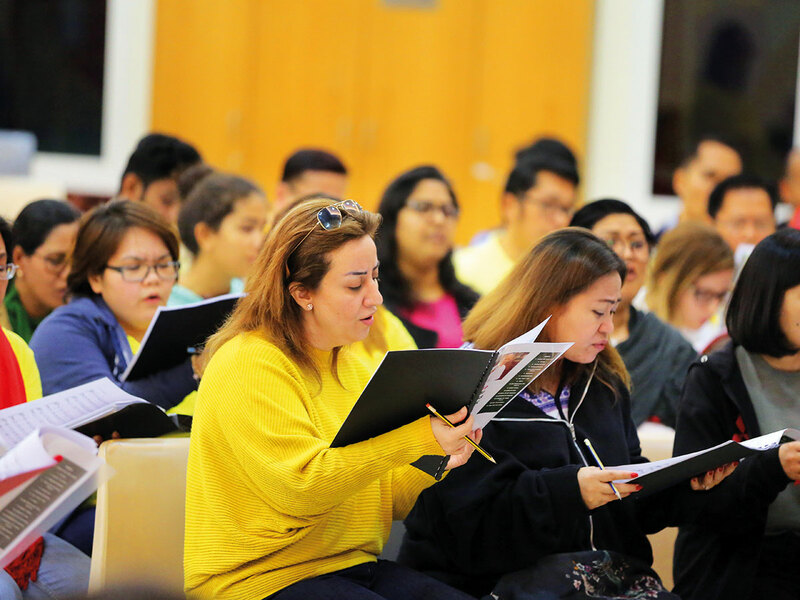 The most challenging part, she said, was choosing the 120 singers from 283 who auditioned from across the UAE. The multinational choir features Filipinos, Indians, Lebanese, Syrians, Jordanians, Armenians, French, Italians, Nigerians, Americans, Indonesians, Dutch and Argentinians singers. They will sing a total of 17 songs, including hymns and mass responses. Most of the songs are in English. The communion song, Legions of Heaven, is in Arabic. Among those who don’t get tired is 13-year-old Nadia Tjahyadi, the youngest member of the choir. The eighth grader juggles choir practice with schoolwork and co-curricular activities. “Sometimes after school, or after some cross-country practices, I just listen to the recordings and sing them. Sometimes at school, I like to hum the tune,” Nadia, a soprano, told Gulf News. Nadia said she was already familiar with 13 songs but had to learn “four big big songs” like Legions of Heaven. It wasn’t the notes that challenged her but the lyrics. The song is also a favourite of Nadia’s dad Novel, who is also part of the Papal Choir. It’s a very unique song and it’s my first time to sing an Arabic song. “It’s a very unique song and it’s my first time to sing an Arabic song,” Novel, a bass, said. All the singers are from Abu Dhabi, Dubai, Sharjah and Ras Al Khaimah. They come together every weekend to rehearse. Ralph Maligro, a bass, is one of the four singers from Ras Al Khaimah. The 1.5-hour drive to Dubai for rehearsals is a unique one, he said. “All four of us practise the songs during the drive. The songs reverberate inside the car if you can imagine. So we never get bored nor sleepy,” Maligro said. Maligro said they may be onstage with the world as their audience on February 5, but he believes that the occasion is never about them.